We all love ourselves a bit of mystery, a bit of adventure. What’s a boring life going to get us anyway, right? So I’m sure you agree, Adventure is not just a simple word but in fact, it’s all about feelings, experiences, and so many exciting thrills. It is a type of activity where people do exciting things like river rafting, scuba diving, travelling, hiking, jet boating, caving, zip lining, off road driving and things which can get you out of your comfort zone. So for you to explore your adventurous side, we have 5 adventures that are sure to bring out the daredevil in you! People often walk on the roads or mountains but how would you feel if you could walk on glass mid-air? Yeah, that’s right! This can be done in the Tianmen Mountains, China where a glass skywalk is there which is situated at 4000ft from the sea level. That’s why when people see at the bottom they feel like they are standing in the air, which is really scary. 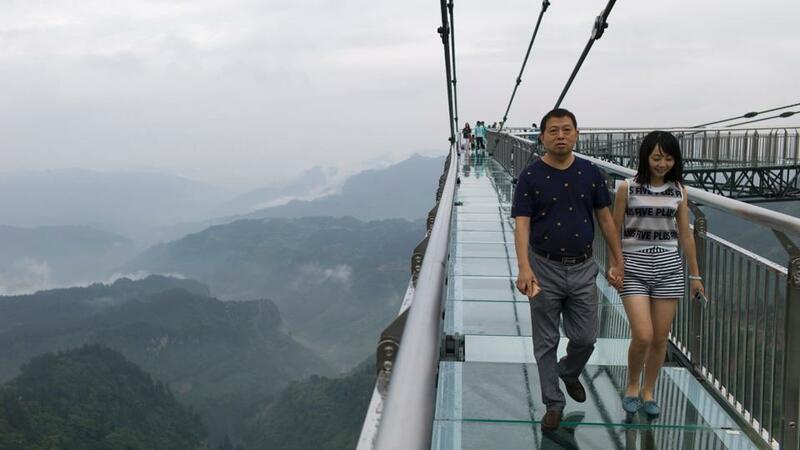 You can also skywalk in a lot of other countries now, have you experienced the thrill of walking on glass? Edge walking is one of the most dangerous and thrilling adventures which can be done at the CN Tower, Toronto. 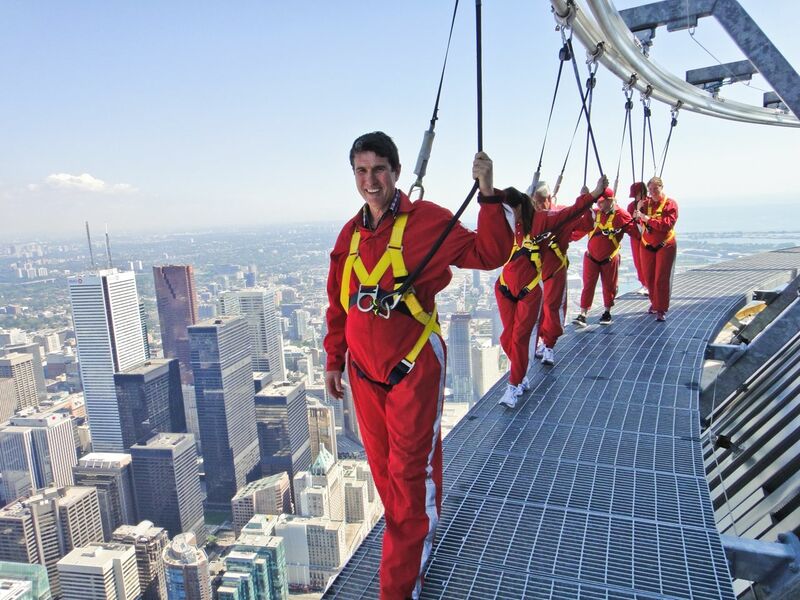 In the edge walk, you will be walking hands-free around the CN Tower but don’t get scared because you will be connected with a harness. The edge walk is situated at 1168ft from the ground. It is the best way to look at the beauty of Toronto from the 116th floor. This itself is self-explanatory, the adventure is performed by jumping from a cliff. B.A.S.E jumping is nothing but pursuing parachuting or wingsuit flying that can definitely bring out the daredevil in you. 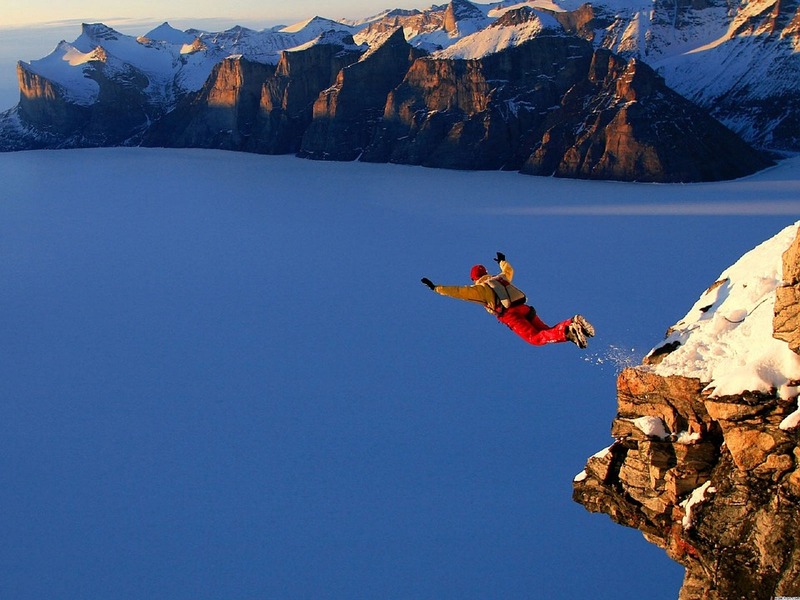 Norway is the most famous place to go for B.A.S.E Jumping. There are many famous places in Norway for B.A.S.E jumpers like Preacher’s Pulpit, The Troll Wall, Kjerag, World Base Race etc. 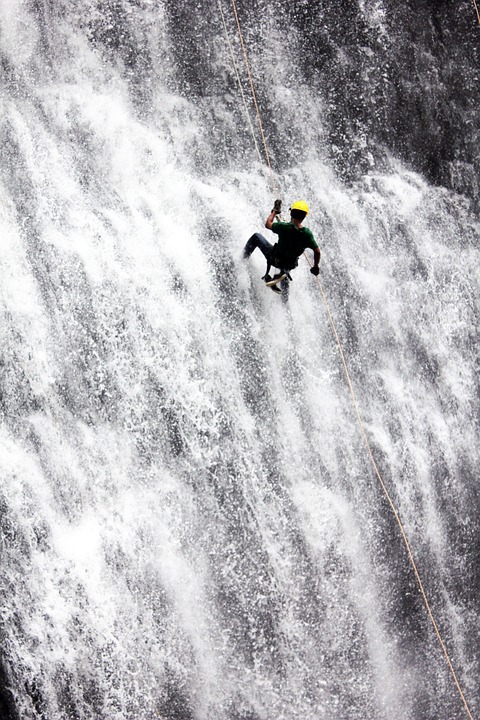 Waterfall rappelling also known as canyoning is one of the world’s most daring adventures that are found in the landscapes of Costa Rica. This adventure contains hiking, climbing and many more things. First, your body will be attached with a harness and after that, you have to walk through the waterfalls, which sounds really exciting! 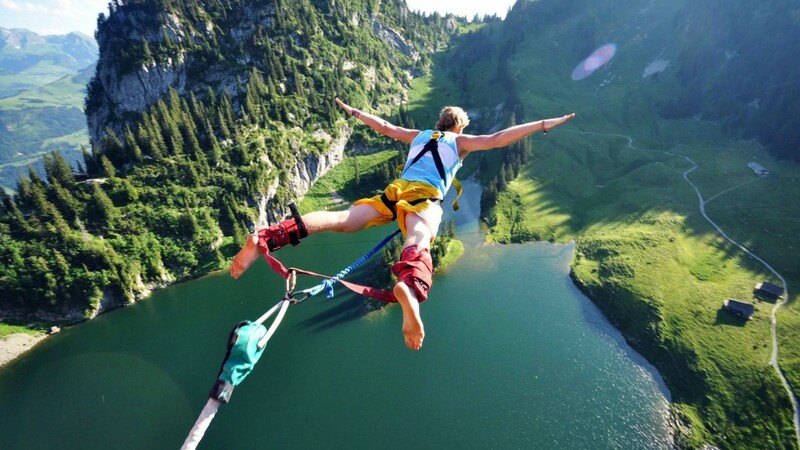 New Zealand is famous for Bungee Jumping where people make jumps from high altitudes like bridges, buildings or any kind of tall structures. But before jumping you will be connected with a long elastic cord. 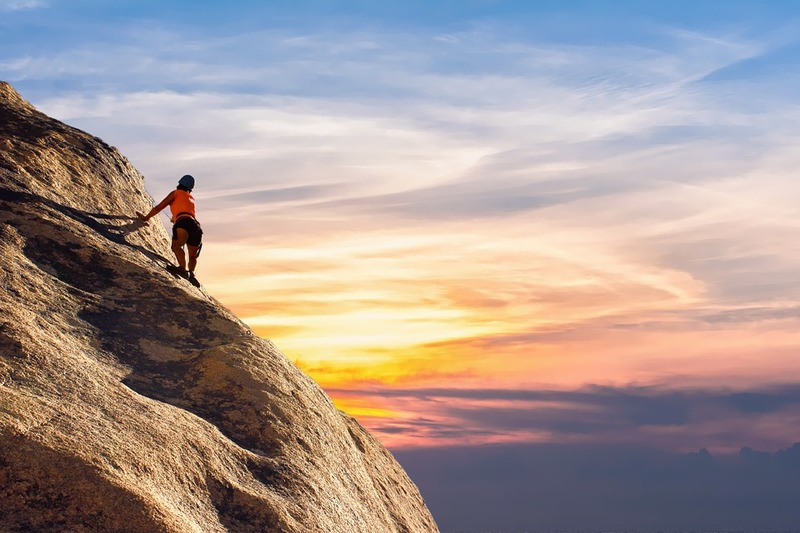 There are many places where you can check your strengths such as Macau Tower, Verzasca Dam, Bloukrans Bridge, Rio Grande Bridge, Europabrucke Bridge, etc. One of the most famous places for Bungee Jumping is Royal Gorge Bridge of Colorado. The jump from Royal Gorge Bridge is 1000ft tall. Doing adventurous things in life will only increase your experiences. 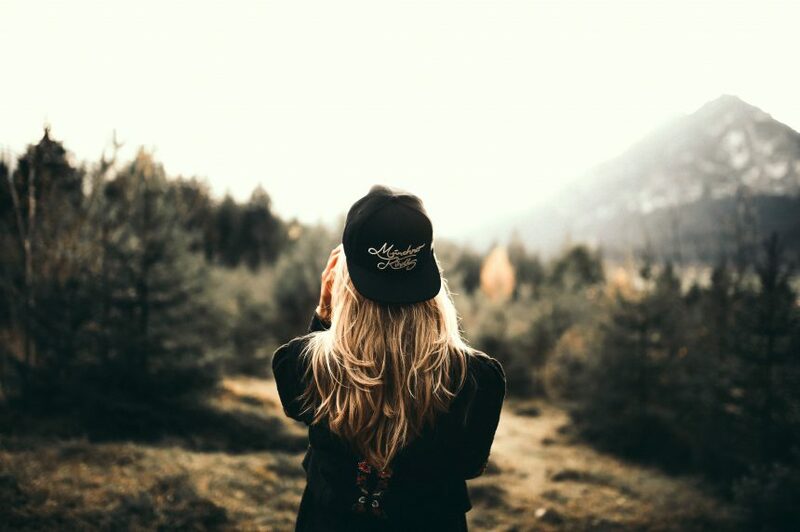 With this, you can get out of your comfort zone and also connect with nature. There are many famous personalities who have broken many records like James Asquith who was the youngest person who travelled all Sovereign Countries. 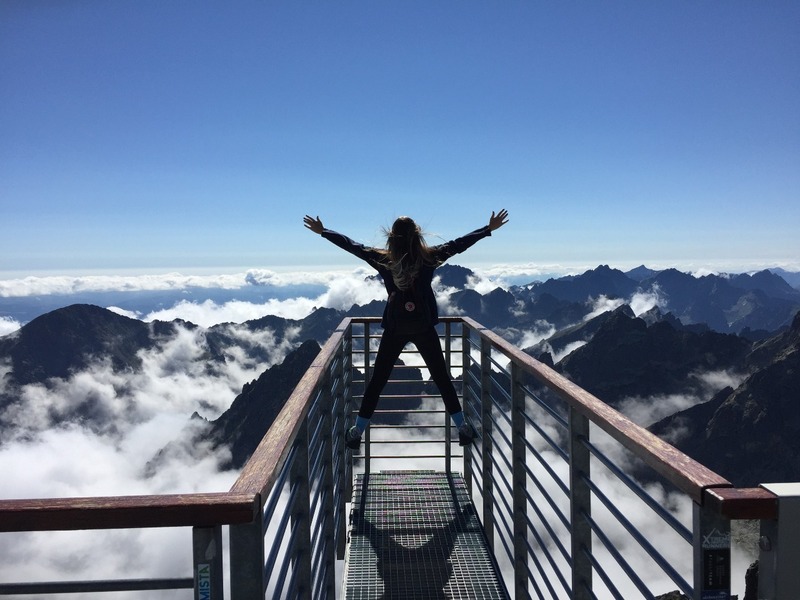 Even if not a record-breaker, you should definitely aim to be a go-getter. So get an opportunity? Grab it! Life is too short to think twice and you never know when you might lose your best years being safe. Time to be a daredevil, my friend! The article has been submitted by our intern, Chinmay Soni. Know how you can Intern With Us. Interested in traveling? Read 7 destinations for a first-time backpacker!